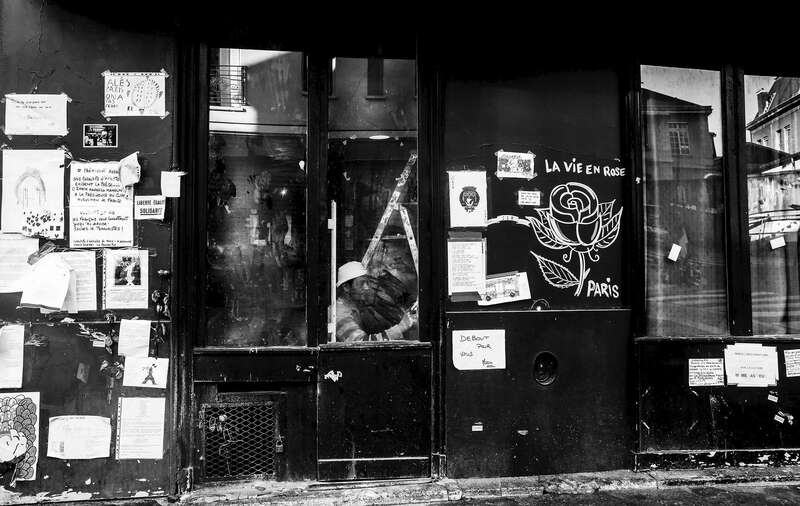 Abdel Moussa repairs the walls of le Carillon, a restaurant that was targeted during the attacks of November 13, on December 26, 2015, Paris France. 15 persons were killed at the Carillon and the restaurant nearby, le Petit Cambodge during the attacks. Le Carillon reopened on January 13, 2016.